One thing about writing every day is that I don’t get the chance to sit and write well about some things I feel really passionate about or that probably require a well written post to do them justice. Tonight feels like one of those topics. I’m not sure what you think when you hear that word. If you’re not a Christian, it may just be associated with the hospitality industry. Or that general notion of a nation being hospitable like the Irish. As a Christian, my first thoughts are how hospitality is a gift that is spiritually given to believers, those who willingly welcome others into their home. Over the years we’ve tried to open our home regularly to others, even in periods when Colin was very unwell, or we had a newborn (often those coincide!) although some of those meals have been shop bought pizzas (or a particularly poor salmon risotto I once made using frozen salmon fillets that turned to rubber) As you can tell, it doesn’t come naturally to me. I find it difficult to remember all the things a good host should do. Listen as well as talk. Remember to keep an eye on drinks and offer top ups. Having a tidy home. 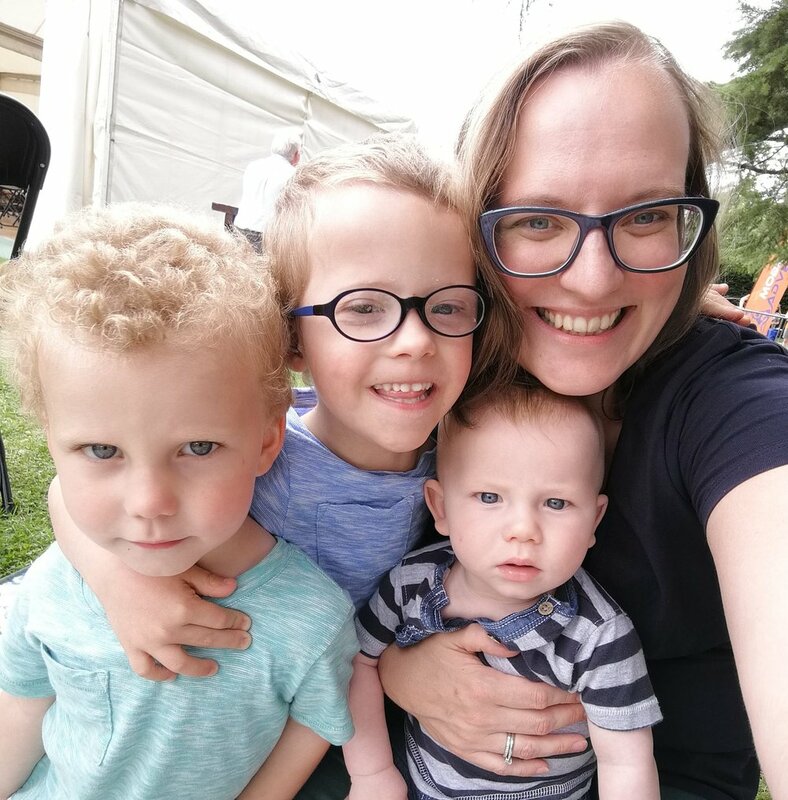 But I want my boys to see that even though it wasn’t something that their father particularly enjoyed, or I was particularly good at, we made time and space in our home for others. I first thought about this when we studying Tim Chester’s book ‘A Meal with Jesus’ in our church discipleship group years ago. How Jesus ate and drank with people so frequently that the religious leaders start to accuse him of excess. They contrasted His behaviour with that of John’s followers fasting and praying. Not that there isn’t a place for that, Jesus Himself fasted in the desert before starting His ministry and I’m sure prayer was a constant part of His life here on earth. But He clearly thought there was much value in eating and drinking frequently and intensely with other people. Don’t the best conversations with people come out over food? When you’ve been sitting eating for hours telling funny stories and opening up about life’s struggles. Our home flourishes when we are hospitable as we learn from others and their life stories. Our church calls the third Sunday of the month ‘Life Together’ as they encourage us to share life with other members of the congregation. Sometimes it’s those progressive meals where you have starters at one house, mains at the next, desserts at another. Or just a Chinese takeaway. We’ve even had a picnic at the park! And relationships definitely deepen when you share food together! Of course, it’s easy to host friends and family, but the Greek word in the Bible actually translates as ‘love of strangers’. I do NOT have this gift! My mother does though. I grew up in a house where Sunday lunch regularly had visitors. And random visitors like a guest speaker at church, or the child of someone my dad knew at university who happened to be in town. When school sent home requests for host homes for various exchange trips, my mum would offer to take 2 or 3. I am pretty certain there were occasions she hosted as many as 4. And most were exchange trips none of us were involved with, just when other families weren’t prepared to host, she would! There were summer mission trips at church and mum would host the entire the team. None of these people were there for a meal but stayed for days, she did their washing, my dad took them out to see the sights of Belfast and they slept in our home. Proper selfless, and must-be-a-gift behaviour. And yet still my mum and dad persisted. Continued to be pleasant and kind to him and it didn’t put them off hospitality in the future (though his name has persisted in family legend as the worst person they ever hosted!). I think that for me proper, biblical hospitality is still far from honed. I don’t welcome strangers readily. We have people stay but they’re people we know, who’re happy to lie on our sofa as we’ve no spare room. But in the meantime, I try to remember that it’s about love – not showing off, simple good food – it doesn’t have to be restaurant presentation, and can be creative – supper or coffee and cake not a full meal (especially if financially, as it is for us currently, hosting dinners regularly is a stretch). What have you learnt about hospitality in recent years? Are you one of those people who welcomes strangers as well as friends?